Ideal to sell as an impulse/add on purchase at the till. 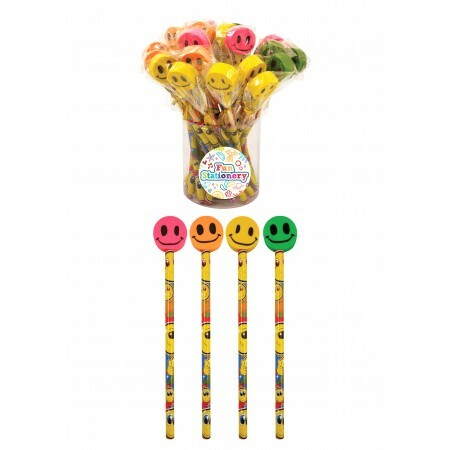 Great value Smiley Pencils with Eraser Top! A firm favourite with children of all ages.